MARX OR MAFIA? 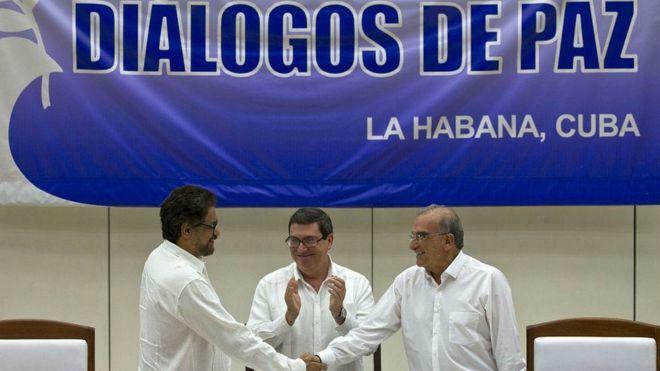 FARC guerrillas arrive at a meeting in southern Colombia this month to discuss their peace accord with the government. Most had convincing and compelling reasons. Fat cat ranchers had driven their families off small farms. Or right-wing paramilitary armies had killed those families if they dared stand up for their rights. Such chronic abuses helped the FARC’s membership swell to 20,000 – and kept Colombia’s civil war raging for 52 years, with more than 200,000 people killed and more than 6 million displaced. But as we listened to the pathos, we also saw the pathological. For example: guerrillas running mule caravans laden with coca leaves, cement mix and gasoline for making cocaine – from which the FARC has reaped hundreds of millions of dollars trafficking. That’s not Robin Hood; that’s Pablo Escobar. And we knew that if we hadn’t spent months negotiating permission to enter Caquetá, the FARC would have kidnapped us for ransom – its other ultra-lucrative racket, one that’s devastated thousands of Colombian families. Ratifying the peace accord is the only way to dry up the recruitment well that guerrilla armies in Colombia and across Latin America have drawn from ever since Christopher Columbus landed on the Spanish Main. That’s the impossibly mixed picture Colombians will be staring at on Sunday when they vote on whether to ratify a peace accord that took four years to hammer out. The country – and large Colombian expat communities like Miami’s – are divided, largely because many believe the agreement deals too leniently with the FARC’s crimes. Even if that’s true, this is still a peace process Colombians have to authorize. It’s the only way to dry up the recruitment well that guerrilla armies in Colombia and across Latin America have drawn from ever since Christopher Columbus landed on the Spanish Main. And that, in turn, is the only way to bring an end to the felonies of the FARC, a force that has been greatly diminished but can’t likely be entirely defeated. Peace, in other words, is that project’s precondition. Colombian President Juan Manuel Santos and his successors can’t build a more socially equitable nation – right now it’s still South America’s most inequitable, a place where just 1 percent of the population holds most of the arable land – amidst a perpetual guerrilla conflict. They can’t carry out epic land reform, modernize Colombia’s laughable infrastructure, build decent schools or deliver government services to rural areas that have never known them while this “mule in the middle of the road” (Santos’ term for the war) continues to sit there. Even without a civil war, getting Colombia’s elites to pivot from feudal to future could prove a monumental task. Consider the case of Andrés Felipe Arias, who was agriculture minister under Santos’ more conservative predecessor, Alvaro Uribe. Andres Felipe Arias during his trial in Bogota, Colombia. Two years ago, Arias was convicted of overseeing an embezzlement scheme that diverted $25 million from a government subsidy program for poor farmers to, well, fat cat ranchers. 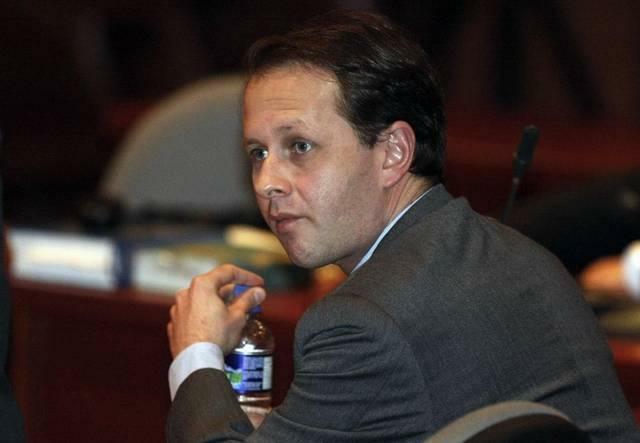 Among them: a politically connected land baron who cleverly divided his holdings among family members – including a former Miss Colombia, his son’s girlfriend – so he could quintuple the subsidy payout he got. Once Arias was found guilty, he fled to the U.S., but he’s now being extradited back to Colombia. We can debate whether the 17-year sentence he faces is harsh. But the case against him was not “political persecution,” as Uribe insisted to me last year. It was a signal that Colombia, as part of the peace then being negotiated, could finally make its most powerful players subject to institutions. The FARC is a Frankenstein. But genuinely destroying it means genuinely confronting the social injustice that created it. And that requires genuine peace. Colombia’s protracted peace talks have put a serious dent in President Juan Manuel Santos’ approval rating at home – and across the Caribbean. Santos is probably most unpopular in South Florida, home to the U.S.’s largest Colombian community, which is strongly opposed to peace with Colombia’s Marxist guerrillas, known as the FARC. 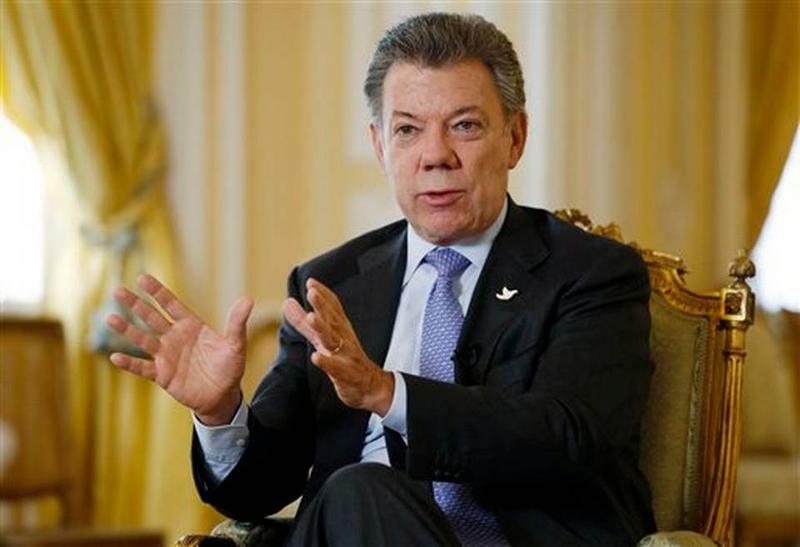 In a 2014 interview with WLRN, Santos – who has staked his presidential legacy on ending his South American nation’s 52-year-old civil war – took a dig at Colombian expats here. The Colombian government and Marxist guerrillas known as the FARC have been at war for 52 years. But tonight both sides confirmed from their negotiating table in Havana, Cuba, that a peace agreement has finally been forged. "[We] have reached a final, full and definite accord," they said in a joint statement. 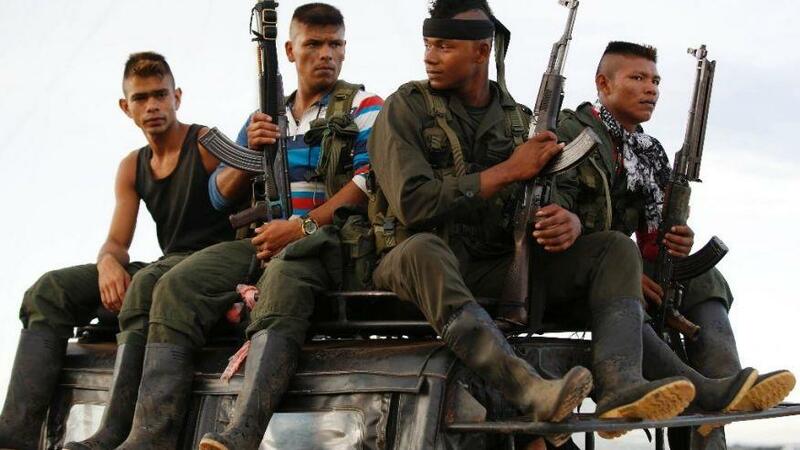 Colombia’s civil war is Latin America’s last guerrilla conflict. It has left more than 200,000 people dead and millions more displaced. Peace talks began three years ago, and this summer the two sides announced a mutual cease-fire. That was the opening volley from Colombian President Juan Manuel Santos during a wide-ranging and unusually frank interview last week in New York. But there’s one slice of our conversation you won’t hear on WLRN. Today, Washington’s diplomatic gaze is on Colombian President Juan Manuel Santos, who’s meeting President Obama at the White House. But as Santos and Obama discuss what looks like an imminent peace accord to end Colombia’s half-century long civil war, I hope the Beltway keeps another Latin American head of state in mind: Nicaraguan President Daniel Ortega.